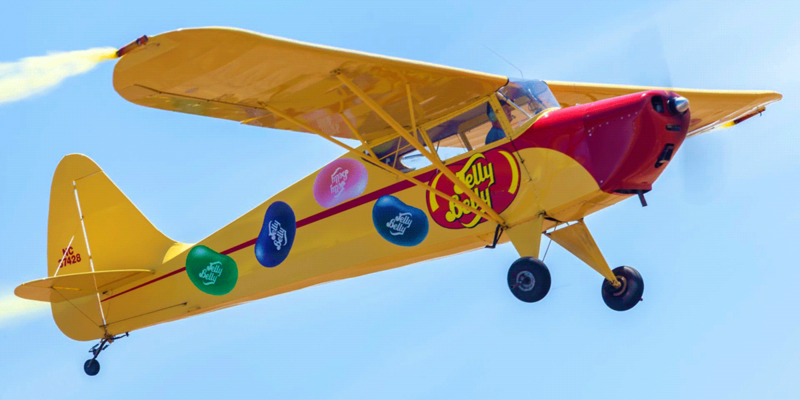 Equal parts aviator, educator, and comedian of the skies Air Show spectators around the world have been treated to the unique variety of acts performed by veteran pilot and consummate entertainer Kent Pietsch and his Jelly Belly airplanes. His shows, which include specialty acts designed to thrill audiences of all ages, showcase aerobatic stunts featuring airplanes that lose parts, engines that quit in mid-flight, and landings onto runways mounted on moving vehicles. Kent has enjoyed presenting the fun of flight to air show audiences for 40 years. When he isn’t in the air, Kent keeps himself busy juggling autograph signing and prepping his airplane for each of his three unique acts.